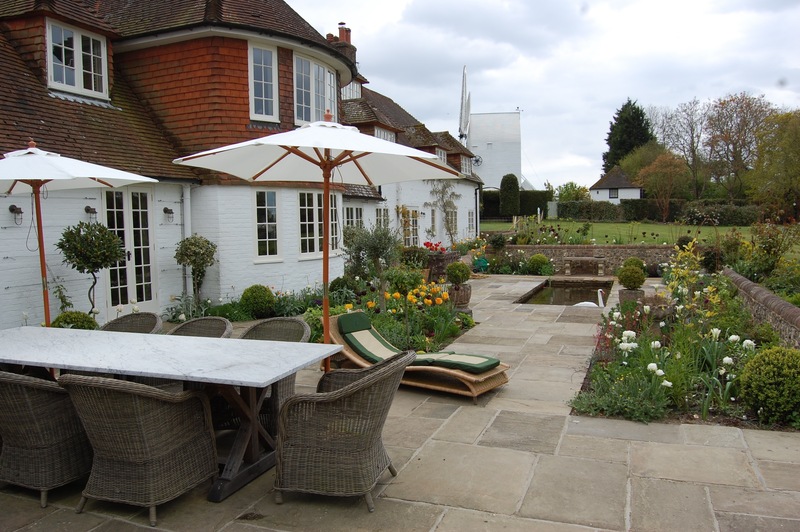 Reclaimed York stone slabs and brick pavers create a garden with a sense of place, defined by the architecture and the surrounding landscape. 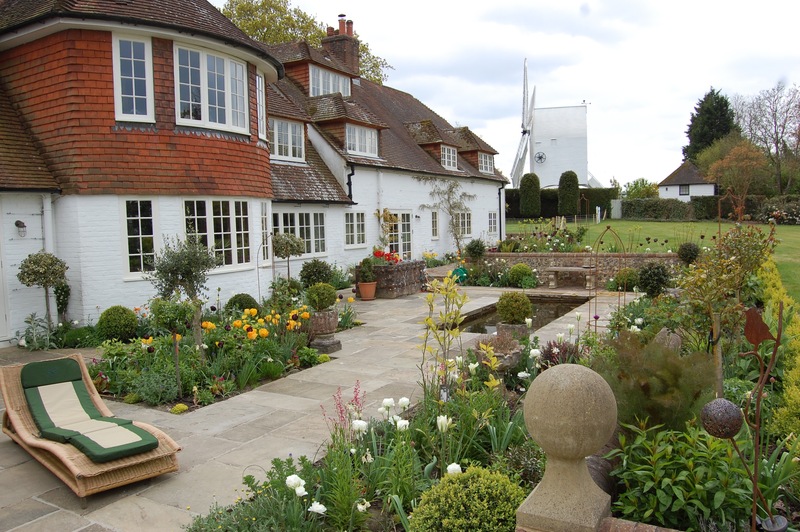 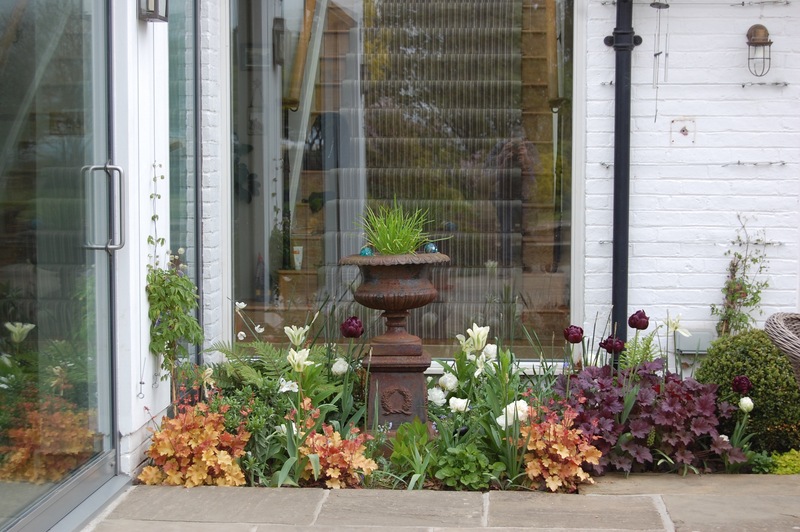 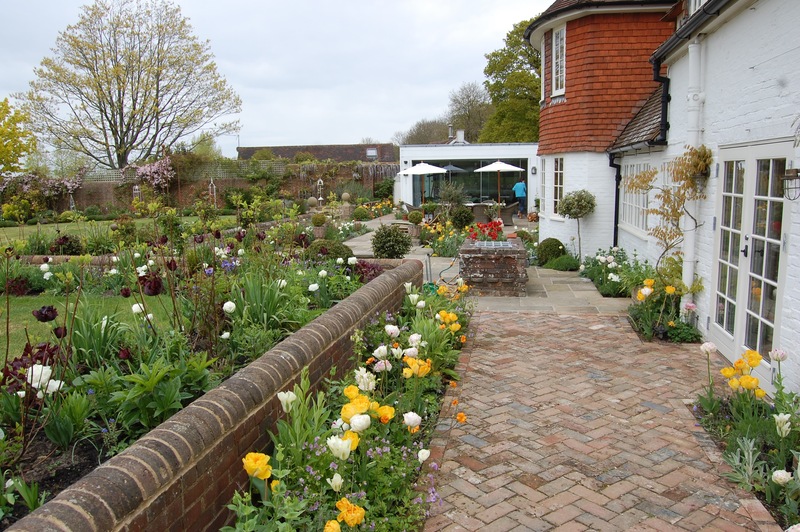 Planting helps soften the house and paving and creates garden spaces. 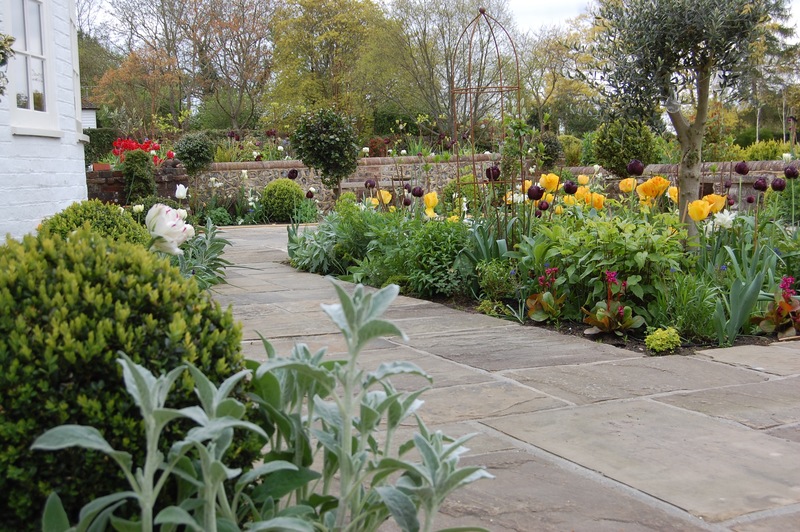 The York stone paving creates a natural edge to the formal pond.